Statement of Outcome from The Plan: Expand the profile, influence, and credibility of C4's core ministries as we aspire to be regionally located, nationally focused, and globally minded. With an emphasis on preaching and teaching, worship, and our unique ministry offerings, we will seek to create a draw to C4 across an expanded geographical profile and add our voice to the Canadian Christian witness. The prayers we sing when we gather together can be written by Christians around the world and from every generation. This year we have continued to write and sing our own songs inspired by the work God is doing here at C4. Teams of songwriters, producers and musicians have added more songs to our repertoire, including two which have become anthems of worship for our church this year. Oh How We Need You, inspired by our sermon series in the book of Jude, and A Thousand Hallelujahs, written for our Easter series, have helped our church worship Jesus. On top of helping our church learn the songs, the song videos have gone around the world as a demonstration of the Spirit Move at C4. With a combined 52,000+ views on Facebook, plus 1000s more on YouTube and Instagram, we have been moved by the stories and comments coming back to us from all over the world of how these songs haven given hope, courage, and faith to people. One of these songs was even been sung by a church in Kuwait, and all glory to God for how we are all one in Christ! As our reputation grows and word spreads of what God is doing at C4 we have been invited to be part of events outside our church which are serving, inspiring and encouraging the wider church. C4 Worship was part of two major events in the GTA this year and has been invited to lead worship at a missions conference this summer in Slovenia. Power To Change hosts an annual conference in Toronto between Christmas and New Year’s where we were invited to lead worship for 1,000 university students from across Eastern Canada. In March, C4 Worship was invited to lead for Today’s Teens Conference, a training opportunity for 1500 students and youth leaders from all over Ontario. Opportunities to participate in these events as a way of encouraging God’s work across our country is a tangible expression of the work the Lord is doing at C4. In the past 12 months, Jon has been working with editors, publishers, and filmmakers to finalize the draft of his first book called Convergence, as well as a video-based curriculum to accompany it. The book is about the convergence of spiritual gifts, spiritual disciplines and spiritual experiences. The book will encourage individuals and churches through Pastor Jon's teaching and, in part, telling the story of what God has done at C4. The video segments were filmed in a variety of styles of churches around the GTA, from more traditional to more contemporary, all to illustrate that the principles of this book are applicable across all styles of church. Currently, the book is being reviewed, hoping for publishing later in 2018. Jon filming a segment for Convergence at a Baptist church. Jon has continued to grow his teaching ministry outside of C4 this ministry year. Every Spring he teaches a graduate level course on Spiritual Conflict at Tyndale Seminary in Toronto as a week-long intensive. He spent time at Mountainside Community Church in British Columbia in January 2017 speaking on spiritual disciplines, spiritual gifts, and revival. He has been leading and speaking as the Co-Chair of the up and coming GTA Alpha Global campaign, and attended various events for this in London, UK. 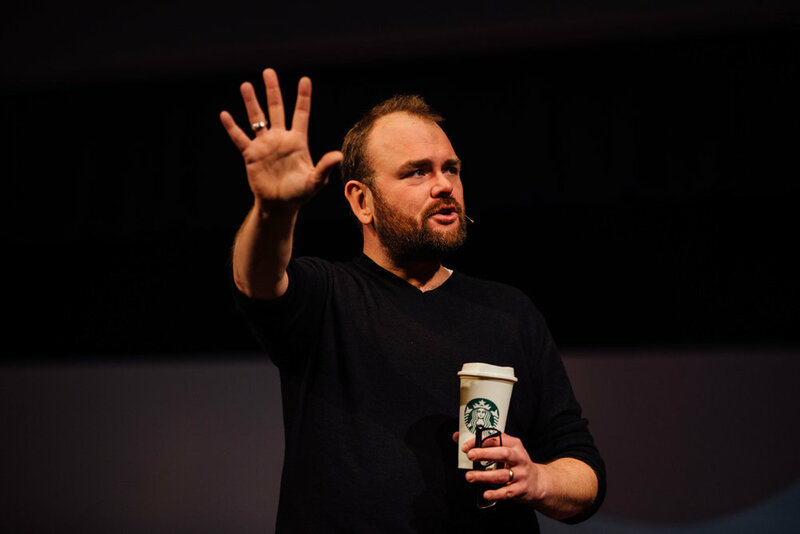 This upcoming summer Jon will be the speaker at the Greater Europe Mission conference for all their European workers in Slovenia, joined by C4 Worship.